The best way to keep your dog’s spirits up and ensure a long and healthy life is to provide regular walking and feeding to your dog. However, busy dog owners know that a demanding work and social schedule can sometimes conflict with your dog’s happiness. Fortunately, there’s a booming business in dog walking and dog walking businesses exist in every city, villa, and burg to serve you and your dog. The process for choosing a dog walker is fairly straight forward. Start out by asking around for referrals from friends, your vet, and fellow dog owners in your area. You’ll likely have options between boutique start-ups and busier, more established dog walking services. Pick a few and check into their credentials. A dog walking service should have a state or municipal business license. 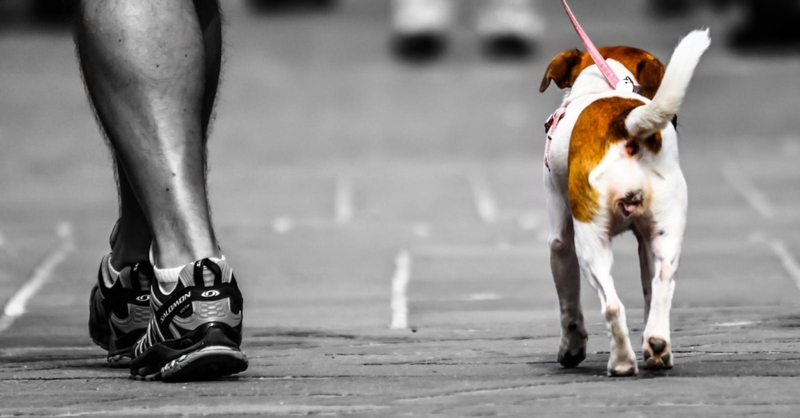 Dog walking services should also be bonded and insured, meaning that in the event of a damage or loss to your home or your pet, the dog walking business can be held responsible for any complaints and will pay out as necessary. These are very important considerations, as dog walkers will need access to your home in order to feed and walk your dog. Do not trust a “fly by night” operation with keys to your home and access to your dog. 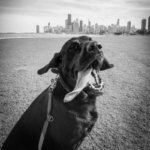 When you visit a dog walking business, you should ask for independent referrals. While it’s nice to know that your friends and neighbors may trust a dog walking service, it is beneficial to hear opinions from a variety of current clients. Any negatives you may find out in this process should be brought directly to the dog walking service in order to evaluate their response – you may not only be satisfied by what the business has to say, but you may also help them to make their business better. Another important consideration when choosing a dog walker is to find out how many dogs are taken out on each walk. 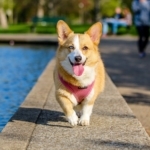 Some dog walking services send out walkers to each home individually and some businesses perform small group walks, while others cover larger territories all at once, walking several dogs in a neighborhood together at one time. The more dogs your dog is being walked with, the less primary attention she receives. Individual attention to your dog comes at a premium, but it is well worth the price. 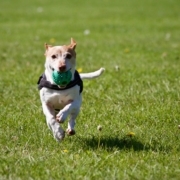 Most dog walking businesses offer “full service” care for your pet. This includes a walk ranging from 20 – 30 minutes, clean-up, feeding, watering, and a brief grooming. Better services will also offer a schedule that allows for the same walker to take your dog out each day, an important concern for dogs who may be agitated by strangers. Any special services your dog may need, such as crating, medication, or training, may come at a premium but should be handled by a competent dog walking service. Ask what the policies for a walk are at each dog walking business and compare. The key is that your dog is being handled by a trustworthy, reliable walker each day that will care for your dog and respect your home. When you’ve decided upon a dog walking business, it is in your best interest to set up a trial period rather than sign up for a long term agreement right away. Ask a neighbor or friend to keep an eye out for your dog walker during the trial period to ensure that the time of walks, clean-up, feeding, and other services are being carried out as proposed by the dog walking business.